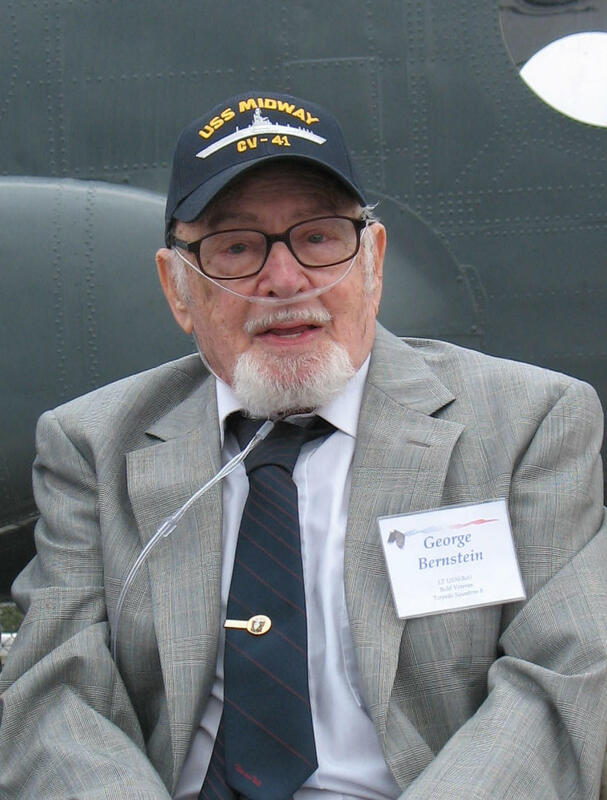 George Bernstein was a flight deck seaman with VT-8 aboard USS Hornet (CV-8). He has given us unique first-person insight on the launch of the B-25s on the Doolittle raid, and concerning the fabled squadron in which he served. He is a regular at annual VT-8 veteran reunions and BOM observances.